This laundry list of tips shows 50 ways to help SAS programmers make their code run faster and more efficiently. Topics include maximizing each DATA step, making simple tasks take less code, using macro variables to simplify maintenance, using built-in features, optimizing code to save disk space, using sorts for more than just sorting, and ways to make the program code just read better. This course will examine some methods all levels SAS programmers may be familiar with. The detailed examples presented in the course demonstrate movement of data between SAS and Excel file structures and how to change the format of variables read from an Excel file using DATASET options to read specific Excel columns. Several of these features are available with only BASE SAS installed, however others will require the installation of additional SAS/ACCESS products or other SAS software. Each of the examples will be shown and explained in enough detail to allow application by the user when the course is complete. While some of these techniques are common and widely used, they are also feature rich and permit access to Excel files in ways that are not frequently used. 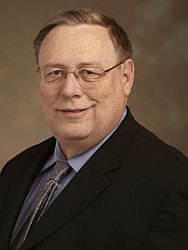 William E. Benjamin, Jr.'s expertise includes Base SAS Software, and SAS Macros. William has a BS degree in computer science from Arizona State University and an MBA from Western International University. He has been a SAS software user since 1983 and a computer programmer since 1973. His programming experience spans from vacuum tube mainframes to current PC computers. William currently owns a consulting company called OWL Computer Consultancy, LLC in Phoenix AZ. His new SAS Press book "Exchanging Data between SAS and Microsoft Excel: Tips and Techniques to Transfer and Manage Data More Efficiently" was released in April 2015.